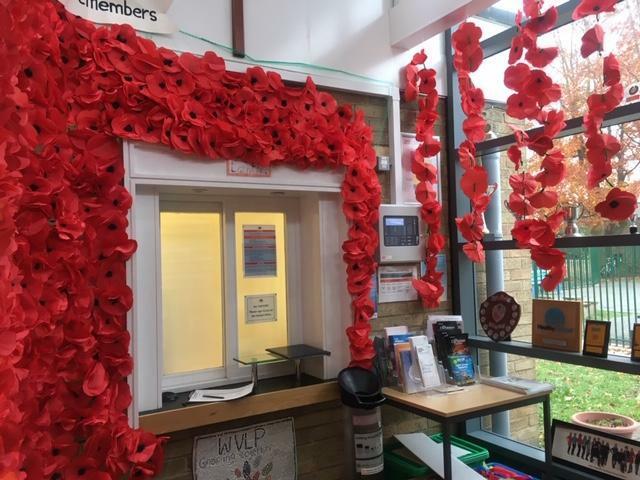 Over the past week, the children and staff in school have been busy making paper poppies to create a stunning display in the front entrance. 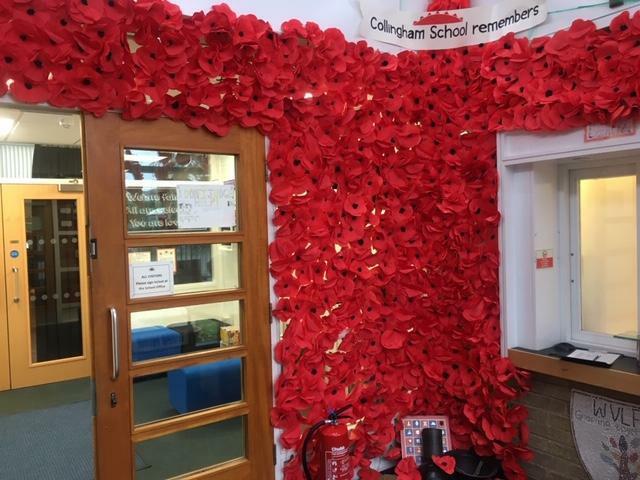 Everyone has had an opportunity to contribute and the display is our school's contribution towards supporting the local commemorations to symbolise 100 years since the end of the First World War. The sea of poppies really is quite a spectacle, I'm sure you will agree. So many parents, visitors and children have had such lovely things to say about the display already. Making the poppies, has provided all of the children with a time to reflect on the many lives lost in this terrible war as well as others across the globe. It also allowed us all to consider how fortunate we are that none of us had to live through these terribly dark times in history. This morning, we held a beautiful whole school Remembrance Assembly in the hall where groups of children from each year group had an opportunity to share poems and artwork relating to what they had learnt throughout the week. The work created was incredibly powerful and was a fitting tribute to the memories of all those who lost their lives. The children observed a two-minute silence and this was done impeccably. The whole assembly was yet another example of what a credit the children are to both our school and your families.